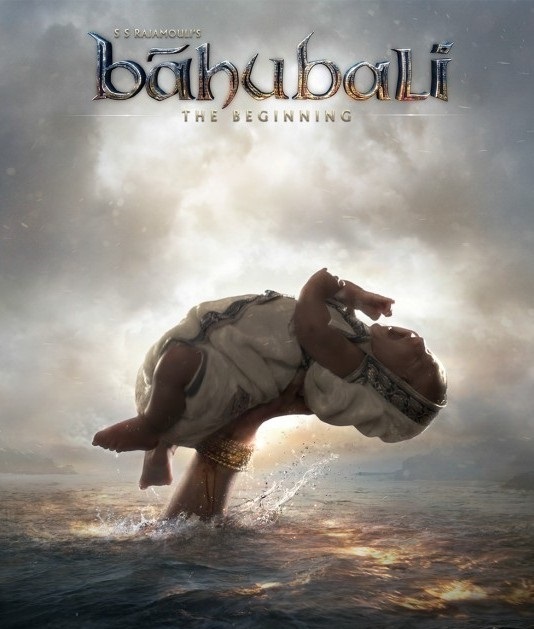 *) "Bahubali - The Beginning" is a prestigious Indian movie. The movie is all about a 'historical kingdom story', after biggest hit Magadheera. The movie is made with excellent visual effects; and awesome graphics work. The movie is released in Telugu, Tamil, Malayalam, and Hindi languages. The movie is released with Director Rajamoulhi seal, i.e., the symbol of success. In the same way, it's reached the audience expectations. *) It's another biggest hit movie of Director Rajamoulhi S S; and greatest combination with Hero character Prabhas, after Chatrapathi movie. Each scene tells about the dedication of Director work. Also, we can appreciate Prabhas and Rana as they dedicated (more than) three years of their time, for this movie. *) Hero character Prabhas action is excellent, in decent and courageous role. His performance is really great. *) Villain character Rana action is great. We can really appreciate Rana for acting in negative role in this movie, as he is well in Hero roles. In this dare decision case, Rana is next to our NTR in Telugu Films. NTR had performed full-length negative (single) role, when he was well in Hero roles. Similarly, Aamir Khan acted recently, in a hindi movie Fanaa. *) Ramya Krishna character has a major role. Her performance is excellent, especially, selection of king, based on noble leadership qualities, after the war episode. *) Tamanna and Anushka S roles are very nice. Tamanna acted as a leader for a team. Satyaraj is having a key role in this movie. Sudeep, Bharanhi T and Director Rajamoulhi guest appearance is very nice. Nassar action is good. Prabhakar looks like a terrific demon. But, his speech in Kilikili language, is very funny to hear. *) Both first-half and second-half are excellent. *) Background settings are very realistic. Senthil cinematography is excellent. -> Baby-boy floats in middle of river, with unknown-hand support. 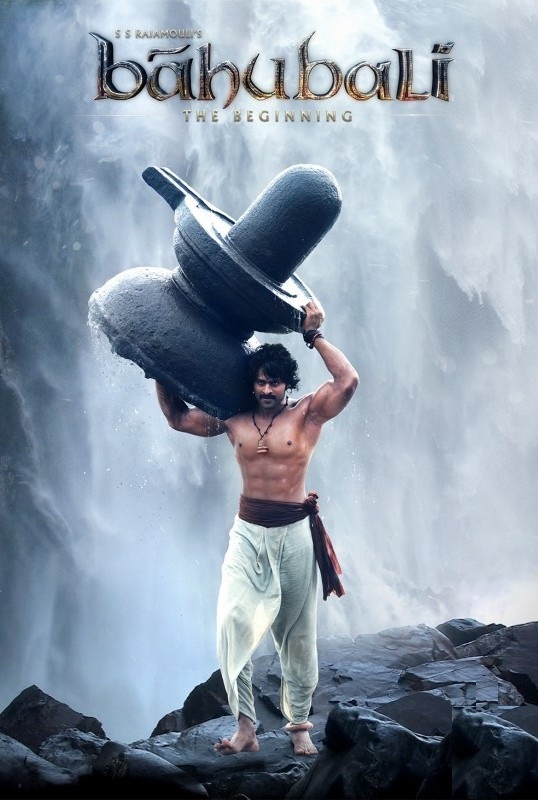 -> Hero carries Shiva-linga to place it, at water-fall. 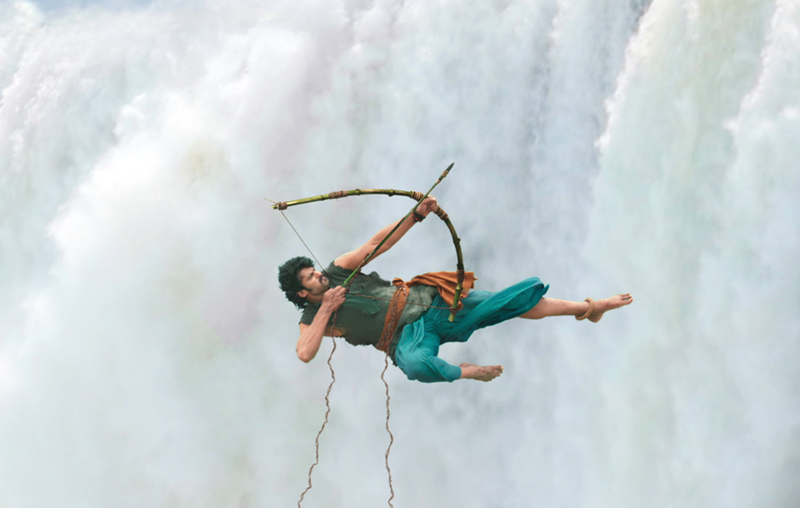 Here, Prabhas action looks like his veteran Krishnam Raju, who acted/attached with Shiva-linga in 'Bhakta Kannappa' movie. -> Hero put efforts in climbing mountain, without losing interest/hope. -> Hero changes the appearance of Heroine as gorgeous, with simple fight/dance. -> War episode in second-half. -> In climax, three teams (Hero father/mother followers, Hero brought-up mother followers and Villain followers) come to one place; and after, all are get surprised by knowing Hero's identity, as Prince. *) Keeravani M M music is excellent. Background music and Songs are very good. Especially, the song 'Pachcha Bottasi' is so nice. *) Last but not the least, Rajamoulhi has made an impact, in making action movies, with courageous King stories. Let us wait for "Bahubali - The Conclusion". He can release Bahubali in Hollywood as a single movie, by combining both parts, after crisp and clear. And also, I would request him to make a movie/episode with the story of "King Prithvi Raj". -> It always a great action movie. Both 'Class and Mass audience' liked movie. No compromise in quality of the movie. Perfection in visual effects, irrespective of budget. Takes time in making the movie, due to graphics work. Graphics work would be very natural. Of course, audience may not aware of this. Present movie would be completely different from past movies. Each movie is a blockbuster. Altogether, it's a Rajamoulhi movie. -> "Father tells - Son implements. ": For (almost) all Rajamoulhi K S S movies, his father Vijayendra Prasad K V is a screen-writer. 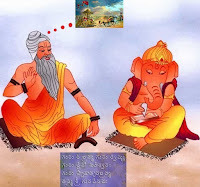 Both are not only Father and Son, but also, Guru and Shishya. Both are an icon of inspiration to 'Father and Son relation'. Secret of their script-work: (1) Some of the scenes are start with very natural way, but end with something surprise/special/unexpected action event. (2) Making a special/relevant scene with Hero and his Veteran (For example, Jr. NTR and NTR; Charan and Chiranjeevi; Prabhas and Krishnam Raju) in a decent way. (3) Story, Screenplay and Story-Narration are very important in the movie. Generally, comedy part is mixed with story-narration, without additional characters/episodes. Story may run with (very) limited major roles. -> It is always an important best memorable action movie in Hero's career. Rajamoulhi movie extracts hidden talent (action part) of Hero. -> Almost, there will be no repetition in selecting Heroine, for his movies. Till now, may be Anushka S is only got the second chance. -> Excellency in "Keeravani M M music, Rama Rajamoulhi costumes design, and other family members involvement". Kudos to all. -> Hero (Simple and Decent at starting, becomes Powerful at some specific point of time/scene, then, becomes Challenger; Courageous; Commitment in achieving things). -> Heroine (Simple; Involves in Hero's achievement). *) The movie looks like Part-1, as the information/description about certain scenes/characters are left as suspense. In general, the suspense would be limited to end scene, for the continuation of Movie-2. Audience can enjoy Movie-2 without knowing Movie-1. But, in this movie case, Part-2 is well connected with Part-1. *) I hope that Anushka S character might not be a old woman, instead, could be a middle aged woman. But, her face (with smile) appearance is like a young lady, at end of the movie. It may be makeup issue.